House Speaker John Bercow has provisionally selected four amendments that could be put to vote Tuesday evening and could prove critical in determining the final shape of the Brexit agreement. In a surprise move, one key amendment that was expected to pass was rejected. The first amendment will come from opposition leader Jermy Corbyn who plans to outright reject May's deal. He is calling for a permanent EU-UK customs union and a "strong single market deal". Economic and trade issues have remained a sticking point for the Labour party and, if passed, this amendment would mean no tariffs on goods transported between the UK and EU, which could therefore prevent the need for a harder border and customs checks. It also calls for an extension to Article 50, the treaty that gives an EU member state the right to quit the bloc with a two-year negotiating period. By extending this phase, a second referendum could be organised or membership of the single market and customs union negotiated. Two amendments that focus on the issue of the Irish backstop, which has been a thorn in Theresa May's side, will be discussed by ministers ahead of the vote. The area that separates Northern Ireland and the Republic of Ireland is currently an open border, which prevents restrictions, taxes, or queues to cross. However, leaving the customs union and single market after Brexit could see a hard border created. The so-called backstop is a last resort to keep the border open if no deal on the issue is agreed. An amendment by conservative Brexiteer Edward Leigh makes clear that the Northern Ireland backstop is temporary. He calls for it to end on January 1, 2021, and if it does not, requires this to be treated as a fundamental change of circumstances, which would see the Withdrawal Treaty ended. The other amendment by Tory Brexiteer John Baron calls for the UK to have the right to terminate the backstop. An amendment that was rejected in a surprising twist was the one tabled by Conservative MP Andrew Murrison, which was backed by 29 of his colleagues. It called for the Irish backstop solution to expire on December 31, 2021. It would have needed backing from EU leaders but could also have won over Eurosceptic MPs and given May a safety net if she loses the vote. Another amendment that was axed was one tabled by Liberal Democrats that would have seen a vote on a second referendum. If an amendment is approved, it could see May's deal reshaped or rejected and trigger a vote on the suggested tweaks. 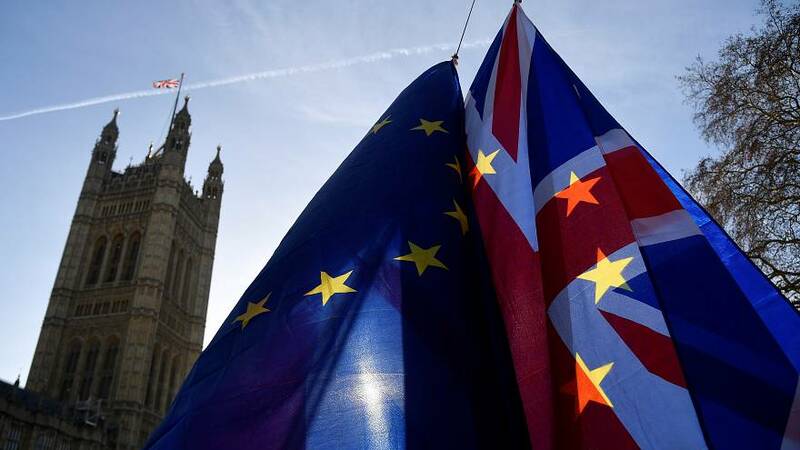 Each vote on the backbench amendments is expected to take around 15 minutes and will come before the final "meaningful vote" on Theresa May's deal.